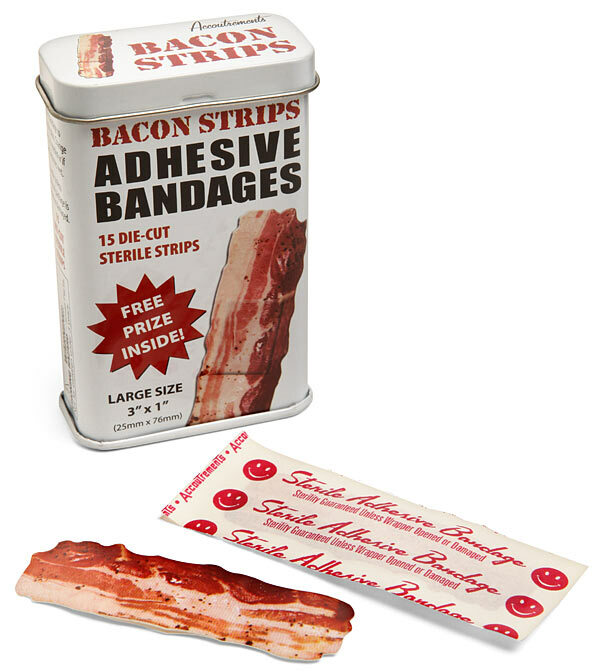 Bacon Strips Band-Aids « Gluttoner: You gonna eat that? Bacon, is there anything you can’t do? Here’s the shortlist of household products that have hundreds of extraordinary uses: baking soda and bacon. Patch up your boo-boos with Bacon Strip Bandages. Great for the clumsy chef or anyone involved in Chef Fight Club (sorry can’t talk about that one, there are rules here). Bacon: an essential part of your daily breakfast and your first aid kit.